Approximately four times a year, I make the meal for our Community Group gathering. 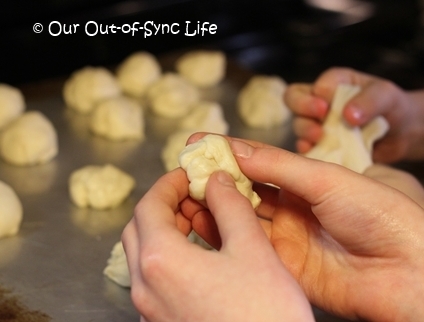 We each take turns preparing supper for the group before we dig into the Word and pray together. It’s not a huge group but 10 adults can put down some grub. Beyond that, I enjoy blessing hurting and struggling families with meals. I am always looking for a meal that will be scrumptious and easy. What I am about to unveil to you has been a huge success. 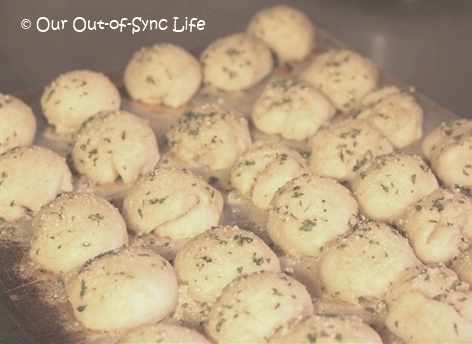 They are super easy, can be made ahead of time, and are a simply divine additional to meals. Like popping candy, as one friend described them. The dough keeps in the refrigerator for a few days. Kids can help and they freeze very well. That is a win in my book! And these would be perfect for the family Easter Dinner! Did I mention easy? Make ahead? Taste like a million bucks? Let’s begin with the bites. 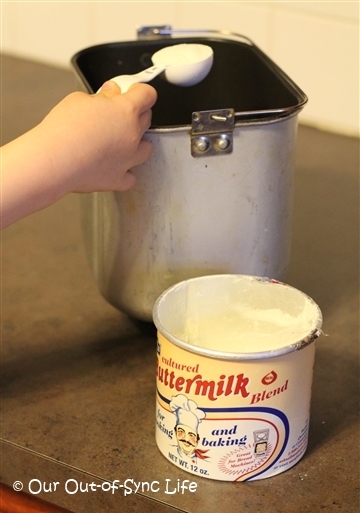 Buttermilk powder can be found in the baking aisle in the grocery store. I would guess you could use warmed buttermilk instead, but I have never tried it. Never hurts to pray over the rolls too. 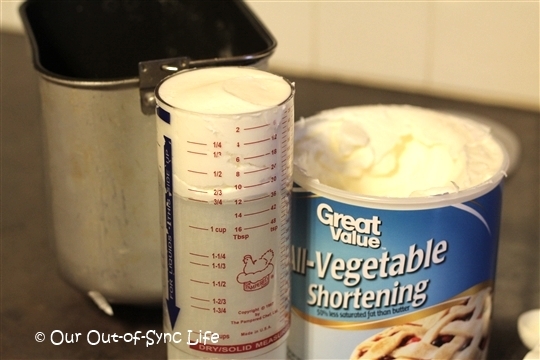 An adjustable measuring cup is my favorite way to measure the shortening but you can also purchase sticks of shortening. Turn machine on to ‘dough’ setting and start. 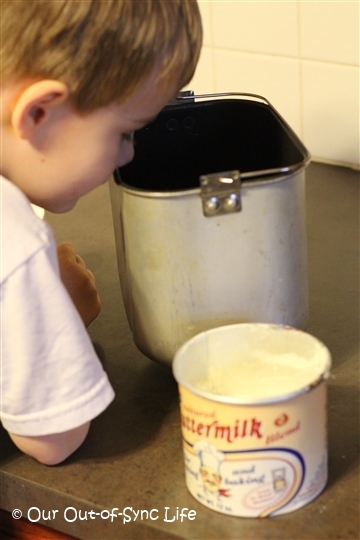 Scrape down any ingredients that get stuck on the sides during the mixing process. 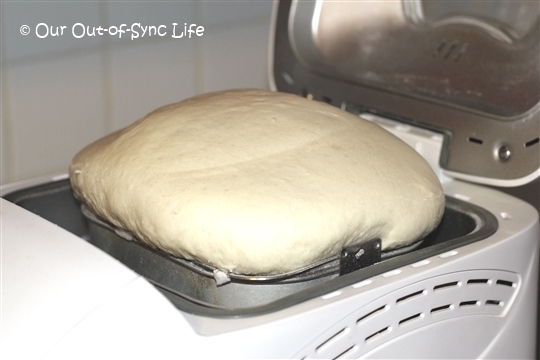 The dough will raise very high so don’t leave it in the machine any longer than it should or it will continue to rise to create a nice mess. and keep in the fridge (the dough will rise in the bag). Pull out when ready to use. 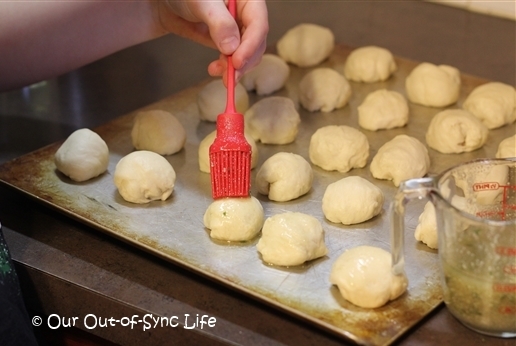 When ready, pinch off a piece of dough, shape into a roll and place on greased baking sheet. Form depending on the size of bites or rolls that you desire. 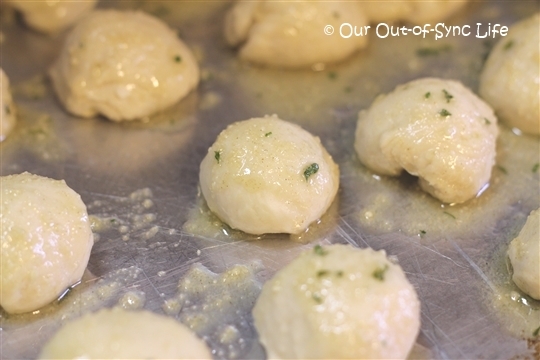 Make as many rolls as desired and store unused dough in the refrigerator. 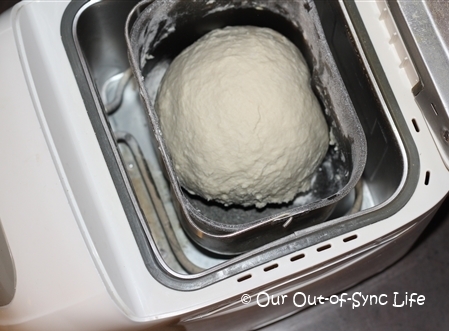 Dough keeps well for several days in the refrigerator. One batch made approximately 50 bites. Making these bites is a family affair. Combine all ingredients in a small bowl. Brush on the bites. The oil will run over the bites but that is okay. If I want to freeze the rolls, I only bake the bites long enough to get done but not brown. As soon as the bites come out of the oven, brush twice with the Parmesan topping. These bites go beautifully with soup, Italian meals, or country cooking. And sometimes we eat them just because! Oh…and did I mention that these would be perfect for an Easter or holiday Dinner? Click for more of our family-friendly, simple and delicious recipes. 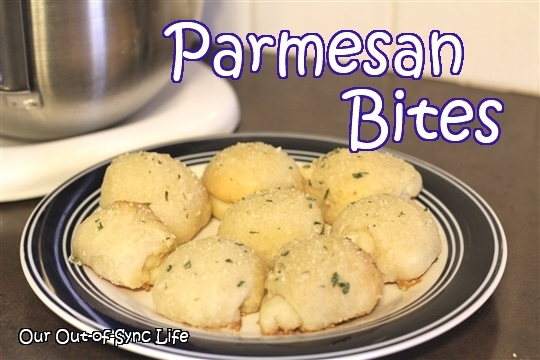 Parmesan Bites would be a hit with a Freezer Meal Exchange group too. Previous Post: « Are You Teaching Your Children to Sin?